Subscribe now for daily market updates! 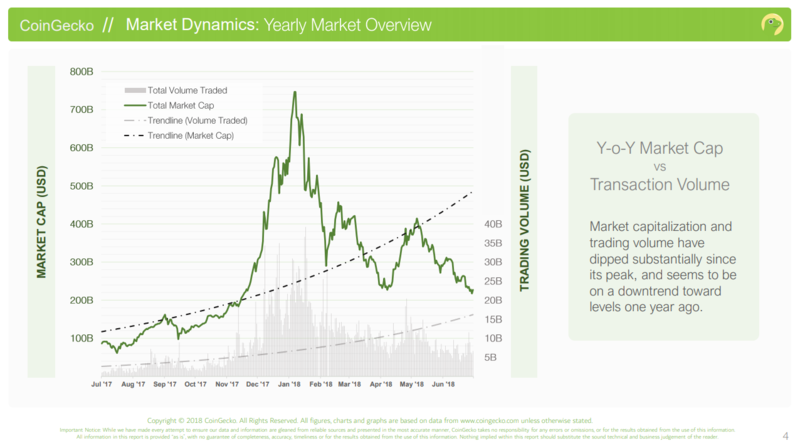 Market capitalization and trading volume have dipped substantially since its peak in January. Market saw considerable growth in May but steadily declined in June. Q2 ended at roughly similar levels as when the quarter started. 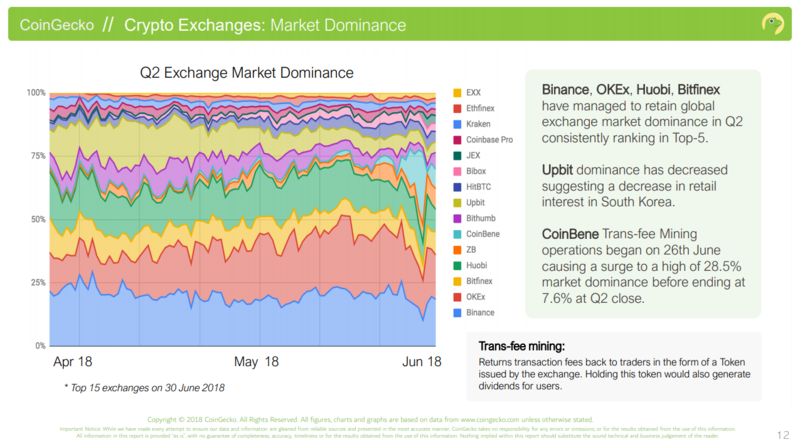 Binance, OKEx, Huobi and Bitfinex have managed to retain their exchange market dominance throughout Q2. The introduction of trans-fee mining changed exchange dominance late in Q2 and will be more evident in Q3. 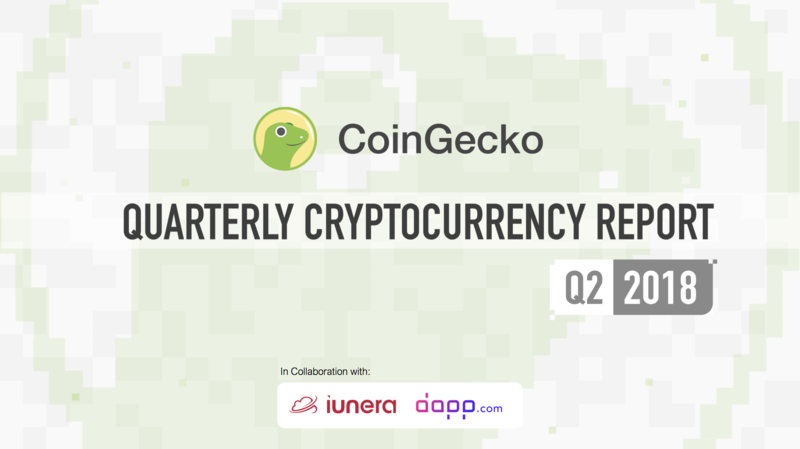 CoinGecko has launched many new features in Q2. Our mobile app is now available on Google Play and Apple Store. 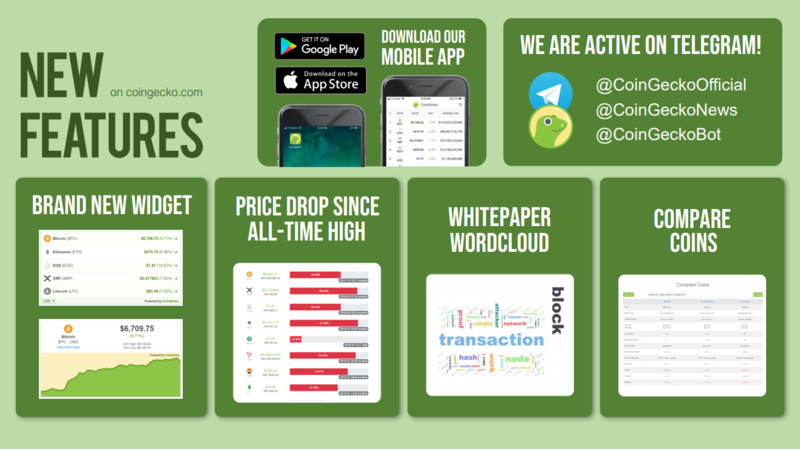 Join our discussions in our Telegram group @CoinGeckoOfficial. 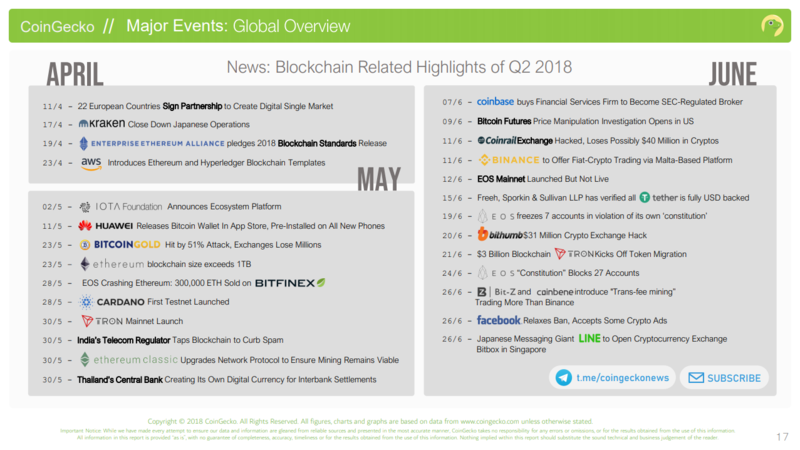 Mainnet launch of Tron and EOS made Q2 very eventful. Several technological giants such as Huawei and Line also got into the space. Huawei is pre-installing Bitcoin wallets on all Huawei smartphones and Line is launching a cryptocurrency exchange named Bitbox in Singapore. 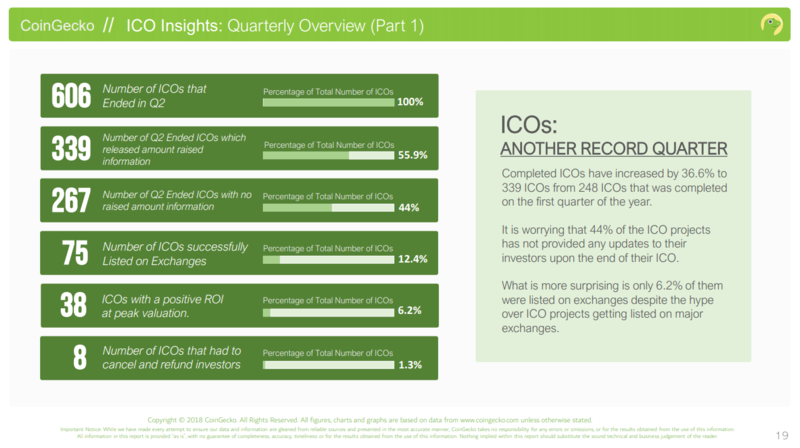 ICOs once again achieved a record high with 339 projects completed and a total of $7.7 billion raised in Q2, mainly due to the completion of EOS which raised $4.2 billion. 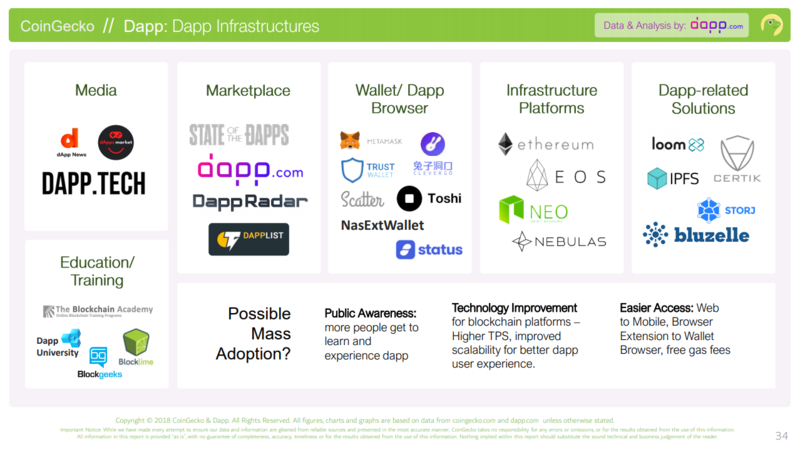 CoinGecko collaborated with dapp.com to look into the growing Decentralized Applications (Dapp) ecosystem. Dapp have grown substantially in Q2 with most dapp being built on Ethereum. CoinGecko collaborated with iunera to do Twitter sentiment analysis. 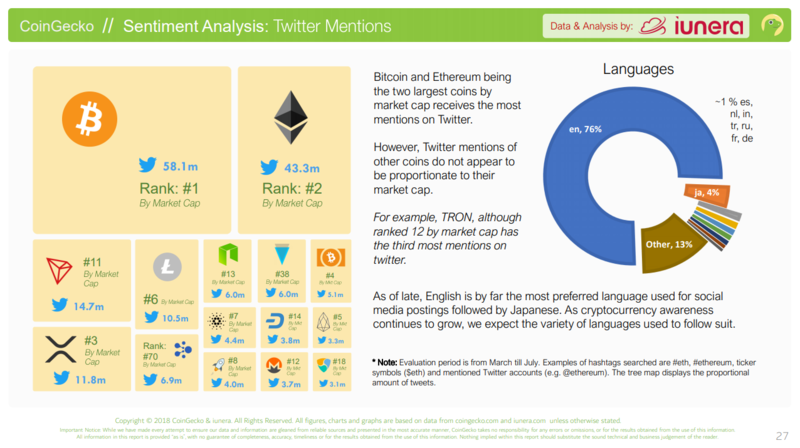 We found that Tron had the 3rd most Twitter mentions despite being the 12th largest coin by market capitalization.